The EZ Bundle 4-in-1 Baby System from Fisher-Price is an infant swing, high chair, newborn seat, and toddler seat all in one unit. 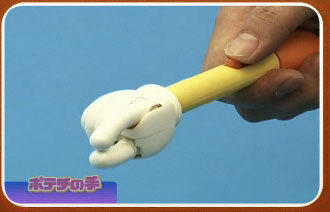 You don’t need to buy four different items, just the one that transforms into the four different uses. Brilliant. And the suggested retail price is only $150.00 — which is less than many individual swings. I’ve started to notice how disorganized my office is … not my personal office, but the office as a whole. Office supplies are disorganized, so no one knows where to find anything, which leads to ordering more of things we usually already have. Our shared computer folders are a mess — everyone has their own systems which makes it hard to find anything unless you ask someone for it. No one has cleared out the paper files for years. When people leave a position, their paper files (which the new person probably doesn’t need or has their own system) get shoved onto a shelf somewhere and pretty much never looked at again, but no one will get rid of them! I’d like to find a way to help with these problems, but I’m struggling with it because it’s not really my job and I don’t want to step on any toes or take on additional work just because I’m the only one who brings it up. Any suggestions? I’ve heard about some companies doing a 2x a year “office clean-up” day — I don’t know if my office will go for it, but I’m interested in hearing if others have experience with this method. Anonymous, I think you could have entered your name as “Everyone,” seeing as most of the working world is in the same position you are. Companies waste so much money being disorganized in the exact ways you have mentioned. They’re doling out unnecessary dollars for wasted productivity, duplicate supply ordering, increased network storage, and offsite archival paper file storage. 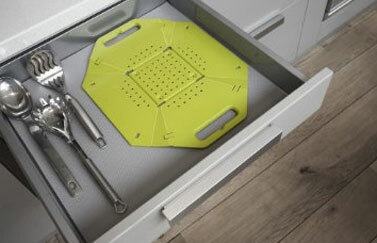 A little organizing and uncluttering could save companies thousands, but often these activities are seen as wasted time. The first thing I suggest doing is documenting on a sheet of paper some of the troubled areas in your division or department. Don’t add commentary to the listed items, simply write notes like, “No inventory system on the office supply closet. Janet has two drawers of files she hasn’t opened in two years.” Then, track down your favorite human resources staff member and see if you can take him or her out for coffee or lunch. During this casual meeting, talk about some of your concerns. Put greater emphasis on the positive benefits that result from a more organized workplace. Don’t complain or blame or bring up office politics — just focus on why you think uncluttering and organizing could save your company money and improve worker productivity. If all goes well, the issue will be pushed up the chain of command and eventually your HR department might make a twice-a-year organizing day a reality for the entire company. Every time I’ve worked with a company for such a project, I’m always contacted and contracted through the HR department, so my assumption is that this is how it would be handled at your company. If your organization is structured differently, go through whatever department is most likely to be responsible for planning such an event. A few, rare and wonderful companies have regular organizing days. They’ll hire one or more professional organizers to come in and give a pep talk at the beginning of the day and then be on site to assist workers as tough questions arise. Some of these companies have organizing weeks if it’s the first time they’ve gone through the process. And, these uncluttering days usually help to build employee morale because everyone is working together to improve their place of employment. Happier, more organized, and more productive employees — I’m surprised all companies aren’t already doing it. Regarding your specific examples, your office could save money by installing a more formalized inventory system for office supplies. Also, check out our tips for organizing a shared drive and the comments to the post for ideas on how to tame the data on your office network. Finally, before clearing out paper files (and there are lots of tips for how to do this in a corporate environment in Unclutter Your Life in One Week), talk with a lawyer. You might not be able to get rid of all of these documents based on whatever it is your company does. Thank you, Anonymous, for submitting your question for our Ask Unclutterer column. Good luck! With college students around the globe getting ready to head back to dorm rooms the size of shoe boxes, I thought it was a good idea to feature JoelVardy’s terrific workspace. The lofted bed and desk he built himself, and details about its construction are on his website. He’s using a Kawasaki Paddock Chair, which I’d never seen before but that looks incredibly comfortable. Thank you, JoelVardy, for submitting your office to our Flickr pool. Similar to Laura Wingfield in Tennessee Williams’ play The Glass Menagerie, I have a collection of animal figurines. Unlike Laura, however, most of mine are wax creatures made in Mold-A-Rama vending machines. Animals may not be stored anywhere other than their designated 4′ shelf. If there are too many animals, must sell least favorite on eBay. Only collect animals in person. No ordering them off eBay or asking friends to pick them up for me on their travels. If I don’t touch the machine myself, I won’t obtain it. The Mold-A-Rama must be an animal, not buildings or other molded forms. Don’t plan trips around collecting the animals, rather check machine locations only after I’ve made plans to visit somewhere. No duplicates. One animal in one color from each machine I encounter, no more. No paraphernalia associated with the collection. No t-shirts, no pamphlets, no books, no broken Mold-A-Rama vending machines rescued from the dump, etc. No more than 7 acquisitions in a single year. If you have a collection, I recommend instituting similar rules to keep your treasures from turning into clutter. It’s always a good idea to institute limits for your collection that include budget, storage space, and acquisition guidelines. Also, if you live with another person or other people, make sure they’re okay with the rules you establish since they also have to share the space with you. Remember, being an unclutterer doesn’t mean you can’t or shouldn’t have collections — but it does mean taking an active role in ensuring your collection doesn’t become clutter. When you’re entrenched in your daily routines and activities, your home and workplace can become generic scenery. This might be a good thing if it means you’re focused on your responsibilities and what matters most to you. However, if you’re no longer seeing your spaces because you’re numb to their presence, it might be time to pause and take a look at the backdrops to your life. Even though you might not focus on the things in your home and office, they still might be affecting you. An easy way to test this is to really “see” a room, clear all the clutter from it, organize the things that remain in the room, and then gauge how you feel in the clutter-free room compared with how you feel in other spaces. Do you want to spend more time in the clutter-free space than you did before? Do you feel calmer, less stressed when you’re in this space? Invite friends over for a party. Knowing that people will be coming into your home helps you to imagine your place the way they see it. Invite your boss into your office for a meeting. It’s like a party in your home, but at work (and, sadly, likely less fun). Snap photographs or take video. Reader Susie describes this process in the paragraphs below. Hire a home stager to come in and explain how he/she would clear your space to put it up on the market for sale. You might not follow all of the advice, but it will help you to see what others see. Similar to the previous suggestion, have a friend with a labrador puppy spend some time in your space. I needed to videotape some rooms in my house for insurance purposes. Having just cleaned cleaned cleaned (knowing I was taping), I shot the tape and then watched it quickly before I needed to take it to the safety deposit box. But when I watched the tape, I was astonished at the amount of clutter and crap on surfaces throughout the house. I realized that the camera’s eye was picking up clutter my eyes were simply moving past! So I scrutinized the tape, marched back to those rooms and really went through the stuff, making firm decisions and tossing several items. I can’t tell you how much it helped to see these rooms through the video. Everyone: get out your video camera and give it a shot. You’ll be amazed at what you’ve never really seen…. 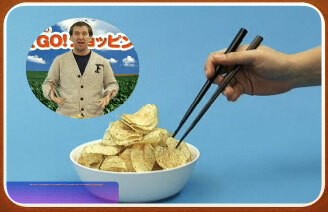 There are folks out there who don’t like picking up potato chips with their hands. Chips are greasy! Your hands could be dirty! And if you have a cut, the salt can sting! 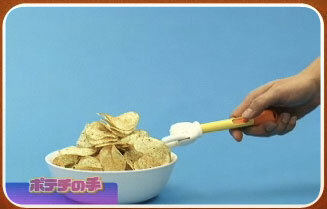 Avoid the pain of eating potato chips with the Potato Chip Finger! Print photographs have been scanned: Now what? I look at the boxes of photographs that have been scanned and feel overwhelmed by the next step in the process. Mark at Productivity501 has a helpful post on “17 Things you Should Stop Doing”. The 17 items he suggests will save you time in your day and open the way for more productive behavior. We all have at least one drawer in our house that has turned into what can be called a junk drawer. So is it possible for college aged co-eds to keep their dorms in an organized and uncluttered state? Here are some tips and products to help achieve the nearly impossible task. 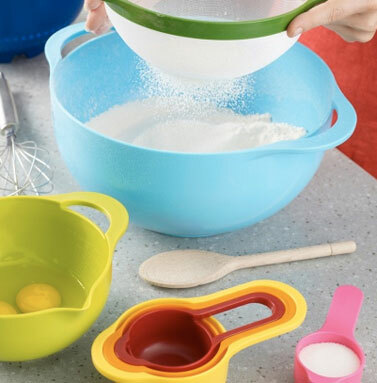 The Nest 8 collection includes four measuring cups (sizes 1-, 1/2-, 1/3-, and 1/4-cup), a sieve, a colander, a small mixing bowl, and a large mixing bowl. 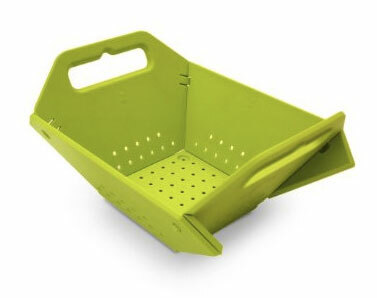 We’ve written about the Joseph Joseph cheese grater before, and it seems that the new items in their line continue to be space-saving solutions. Thanks to reader Cindy for tipping us off to these uncluttered kitchen options. Would you contact an ex to get it back? There was a thread on Ravelry about minimizing stuff. One person had a twist on the velvet rope test: If your hated ex-boyfriend, ex-girlfriend, or a friend-turned-enemy had the item, would you be willing to contact them and talk to them to get it back? I love this evaluation technique, especially for clothes, tools, and knickknacks. If you wouldn’t contact an ex to get it back, then you know you’ll be okay getting rid of it. On the other hand, if you would go through the pain and frustration of talking to an ex to get an item back, it’s definitely something you’ll want to strongly consider keeping. It’s simple and straightforward — a good litmus test! Do you have similar questions you ask about your things? Share your techniques in the comments. What’s keeping you from climbing Kilimanjaro? While having tea with my aunt a few weeks ago, she told me the story about how she climbed to the top of Mount Kilimanjaro when she was in her 20s. I’d never heard this story before, and my jaw dropped numerous times as she shared the once-in-a-lifetime experience with me. She explained how she signed up for a “camp” that planned the adventure, the few but essential items she carried in her backpack, how she dressed, the training (which she admitted was useless), and her description of the cloudy view from the top. When my aunt spoke, I had the recurrent thought: “How can this woman be related to me?” Heck, when I was in my 20s, the closest thing I did to climbing a Seven Summit was riding an elevator to the middle observation deck of the Eiffel Tower. In addition to climbing mountains, my aunt has visited almost every country in the world. She has lived in places I’ve had to practice pronouncing, and once while in Asia she had to do an emergency evacuation off an airplane by way of an inflatable yellow slide. My aunt has a house and a full-time job and a husband and two grown children. She’s not a travel writer and she doesn’t have a job in any way related to the travel industry, she’s simply a travel enthusiast. When her children were young, she and her husband took them along on all their adventures. Seeing the world is at the top of her list of what matters most to her, and she has made it a real priority. She doesn’t let distractions (clutter) get in the way of the life she wants to lead. When she wanted to climb Kilimanjaro, she planned and made the trip a reality. She didn’t make excuses or let her fears keep her from achieving something that was important to her. I’m not interested in climbing a mountain in Africa, but I am interested in pursuing adventures as lofty and out of my comfort zone. You probably have a similar desire for a life doing more than “just getting by.” So, what distractions are standing in your way? What is cluttering up your time and keeping you from your remarkable life? Now is the time to clear the clutter and get started on your way up your own Kilimanjaro. I think most people have one top idea in their mind at any given time. That’s the idea their thoughts will drift toward when they’re allowed to drift freely. And this idea will thus tend to get all the benefit of that type of thinking, while others are starved of it. Which means it’s a disaster to let the wrong idea become the top one in your mind. You can’t directly control where your thoughts drift. If you’re controlling them, they’re not drifting. But you can control them indirectly, by controlling what situations you let yourself get into. That has been the lesson for me: be careful what you let become critical to you. Try to get yourself into situations where the most urgent problems are ones you want [to] think about. When you’re in the shower or mowing the lawn or drifting off to sleep each night or zoning out, what thoughts go through your mind? Are they thoughts focused on what really matters to you, or are they clutter? Check out Graham’s full article for more insights and suggestions for processing mental clutter. Deglon’s “Meeting Knife Set” is outrageously expensive (more than $1,000 for the metal base and more than $500 for the wood base), so I’m not recommending anyone run out and buy them. 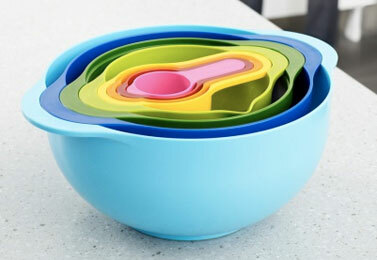 Rather, just take a moment to admire their nesting and organized beauty.